If you ever entered or perhaps worked in a bank, you will notice that there are several methods of distributing monetary amounts. Although the most commonly used is cash, there are other forms of money as well, such as checks, credit cards and etc. The need for a diverse number of ways to distribute money is in direct relation to the increasing need on how a person would like to conduct their transactions. 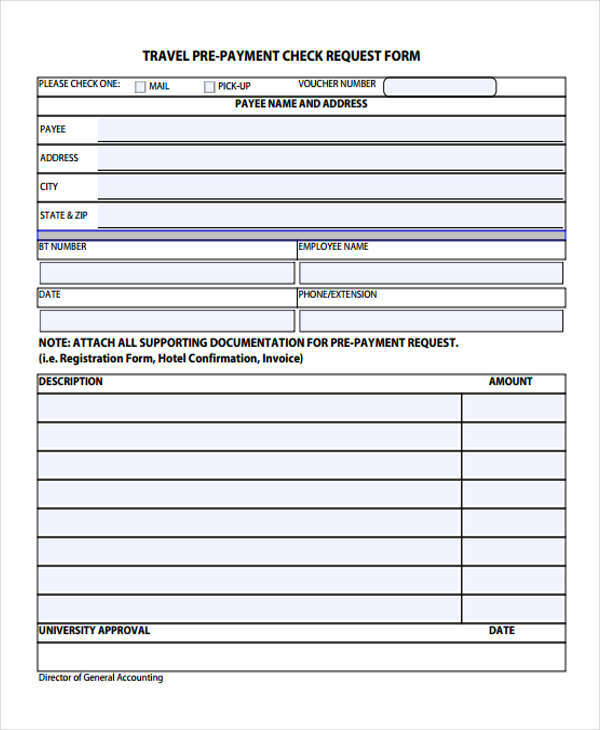 There is always the option of submitting an information request form to the bank regarding the different type of methods of payment available. 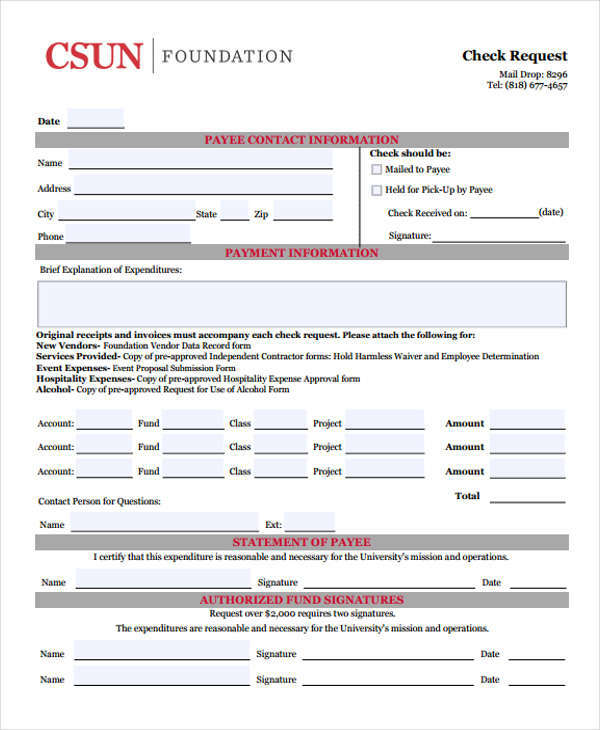 Changing request forms while a previous request form is being processed will often cause confusion, and can result in a longer processing time than what would have originally happened. 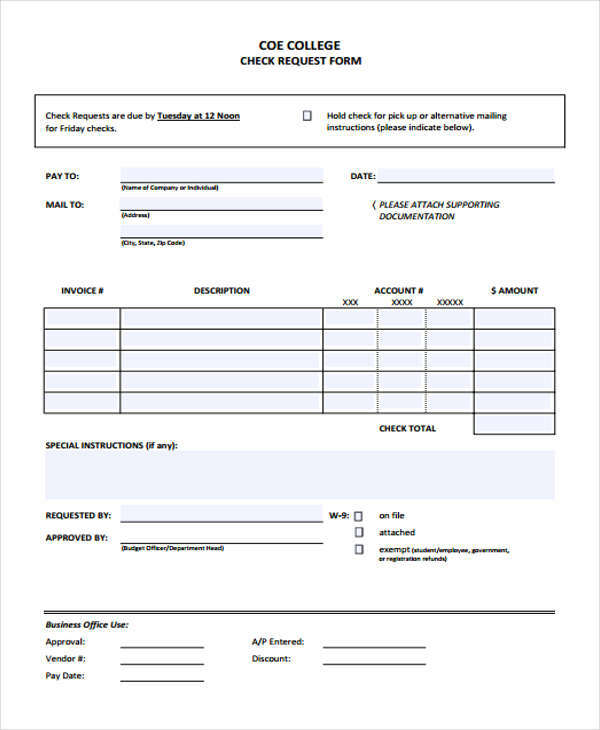 It is always important to keep this in mind to avoid causing chaos to the receiver of the request form. 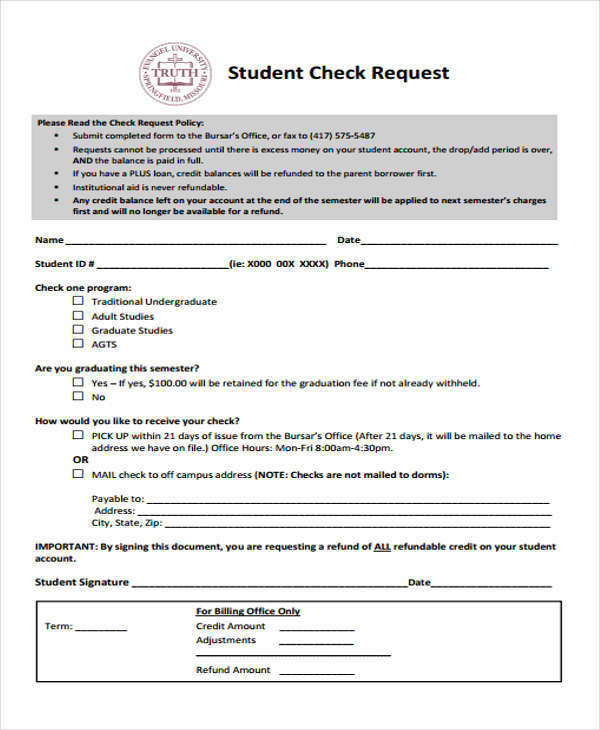 A check request form is a type of request form that is used as a means of requesting the receiver to fulfill their debt of payment by means of writing a check with the required amount to be given. It is not necessarily said that the person has a debt, but rather, it could be that the person is required to pay a certain amount of monetary value to another person, and it just so happens that the person’s preference of being repaid is by receiving checks. 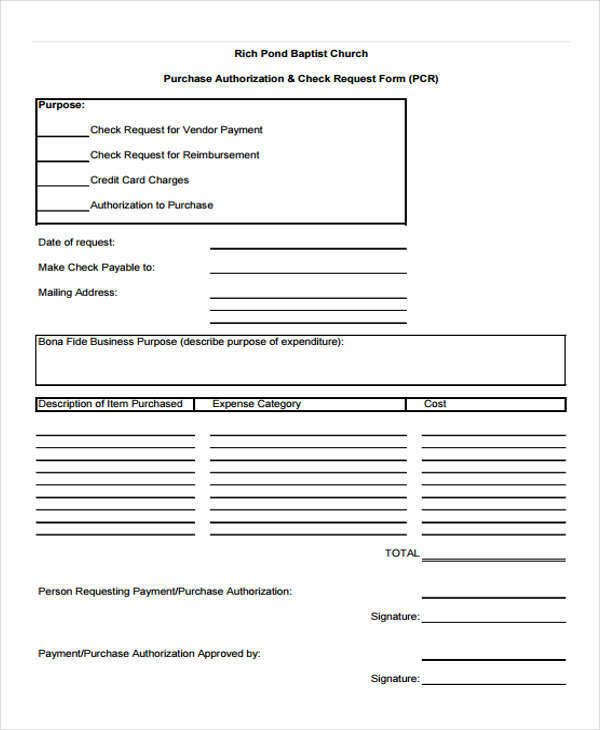 A check request form is usually used in terms of requesting payment via check, and this type of transaction is most common among business organizations. 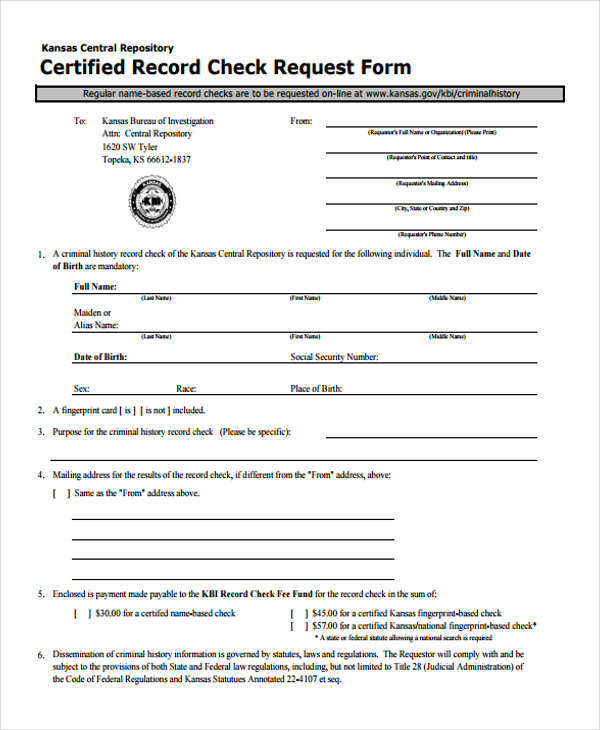 As with all documents, the information of the receiver of the check as well as the information of the person who will submit the check should be inputted so as to confirm the receiver and the sender. 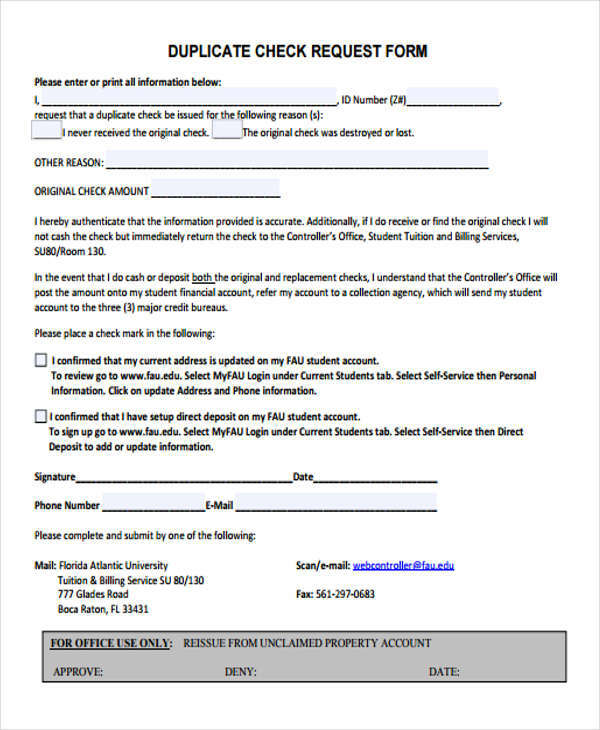 Specify the account number of the sender as well as the receiver as stated. 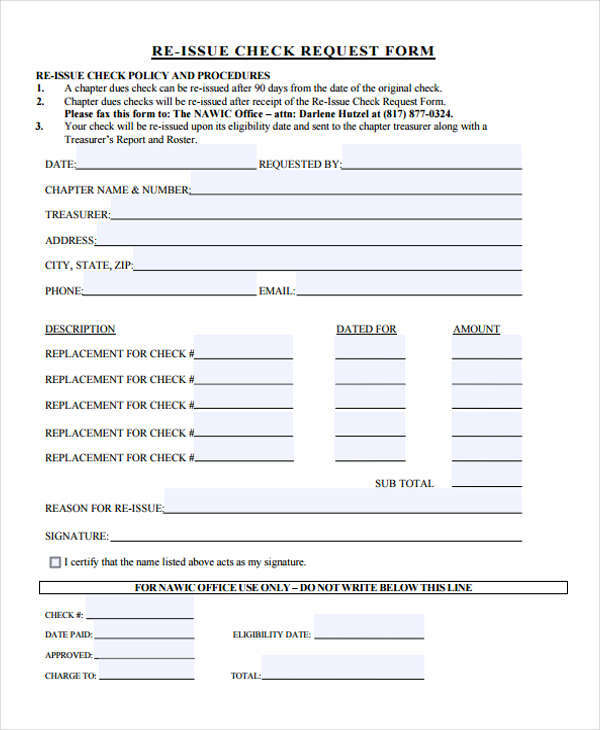 Approval statements that will require the signature of the sender upon delivery and the signature of the receiver upon receiving the check. 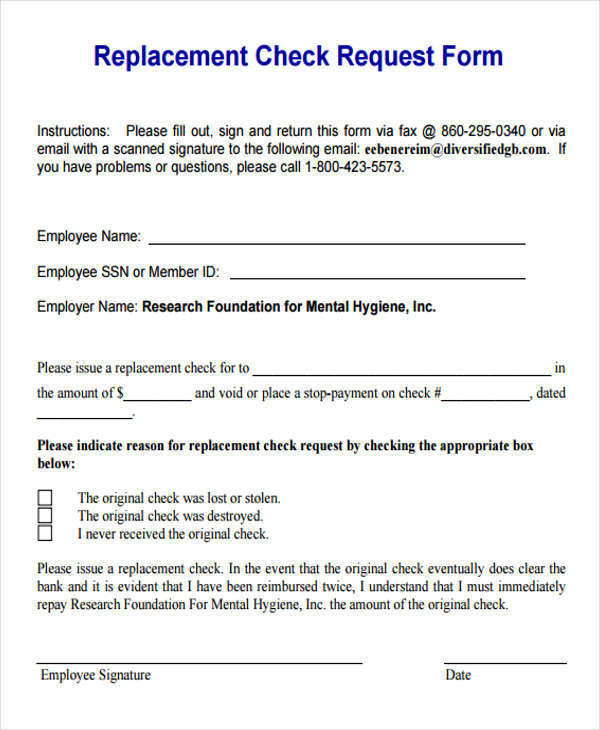 The check request form could be directly linked to a certain corporate project as well. 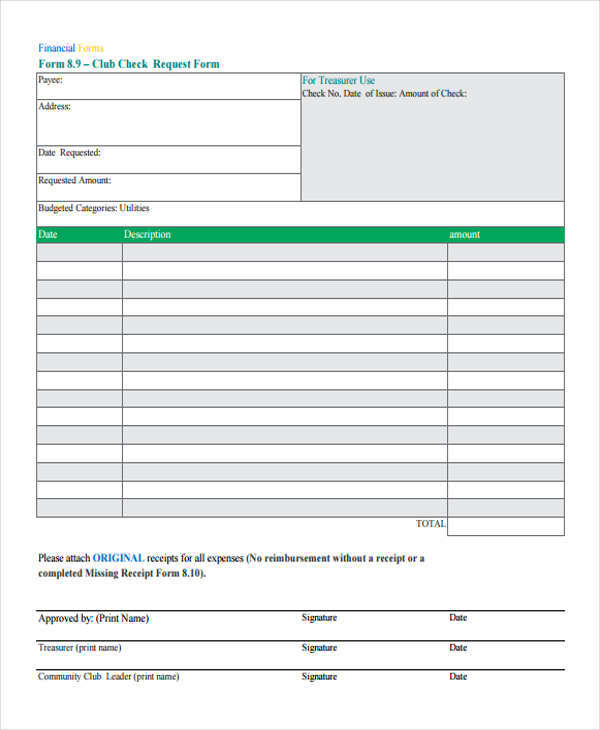 A check request form is often in direct response to a project request form in the sense that most projects will require large amounts of credit in order to complete it. 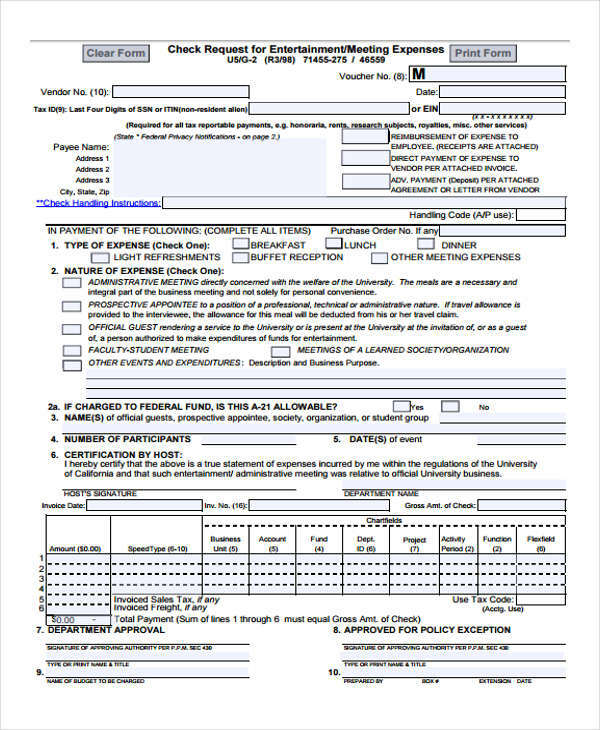 Begin by offering to assist your employer with the procedure of gathering data about your background information. 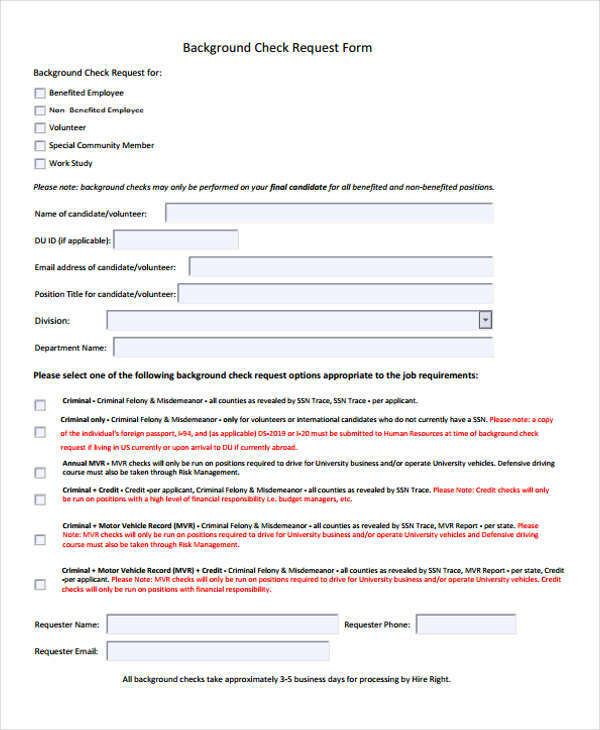 Assist the employer by making the list of references even more detailed by giving added input about each referral. 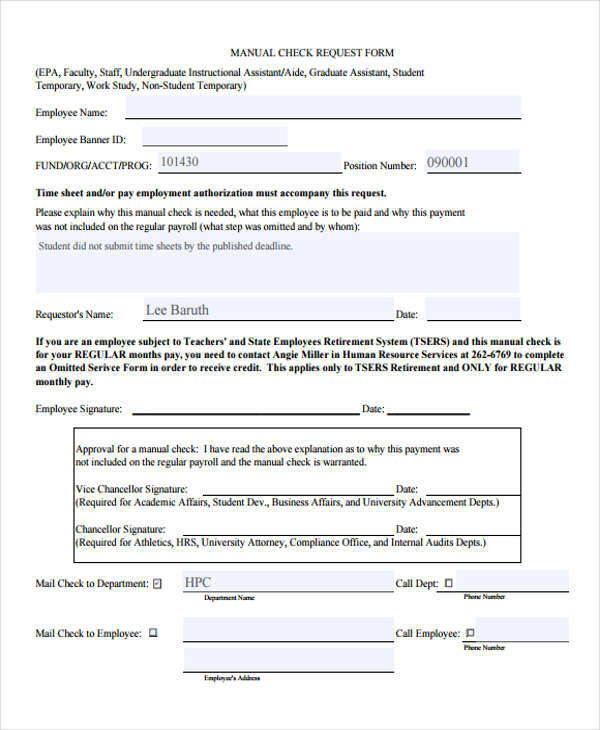 Allow the employer to contact each referral, while the employer is contacting them contact your referrals to free up some time to do the reference check. Whatever questions the employer will have about your referrals answer them truthfully and as thoroughly as possible. 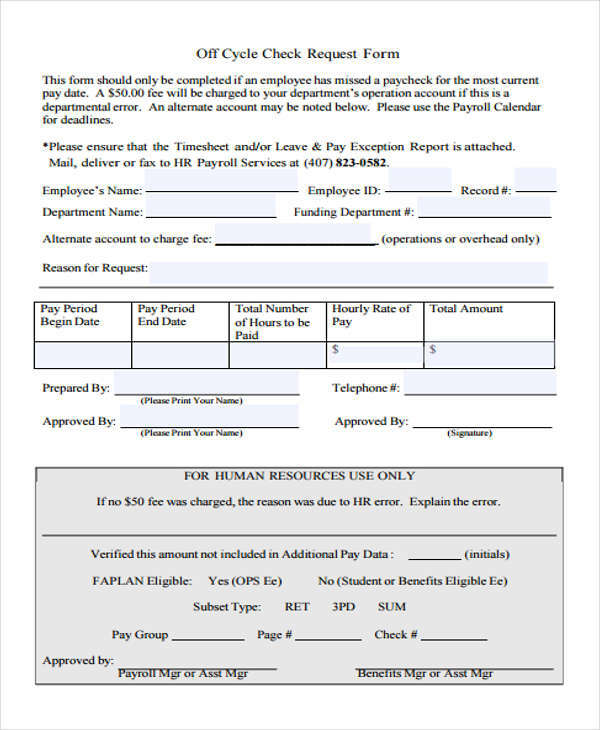 The employer controls your pay and it might be a good idea to remind them by submitting a payment request form when your salary or pay day is about to come up. 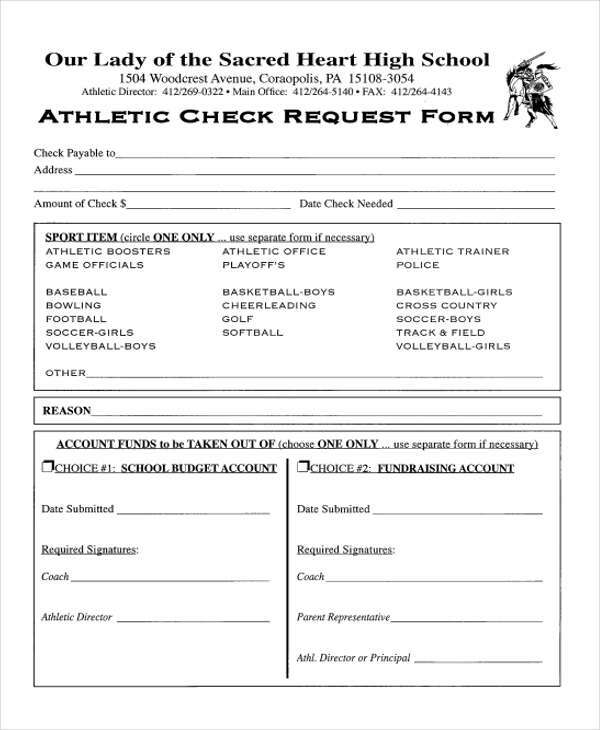 What is an Official Check Request? 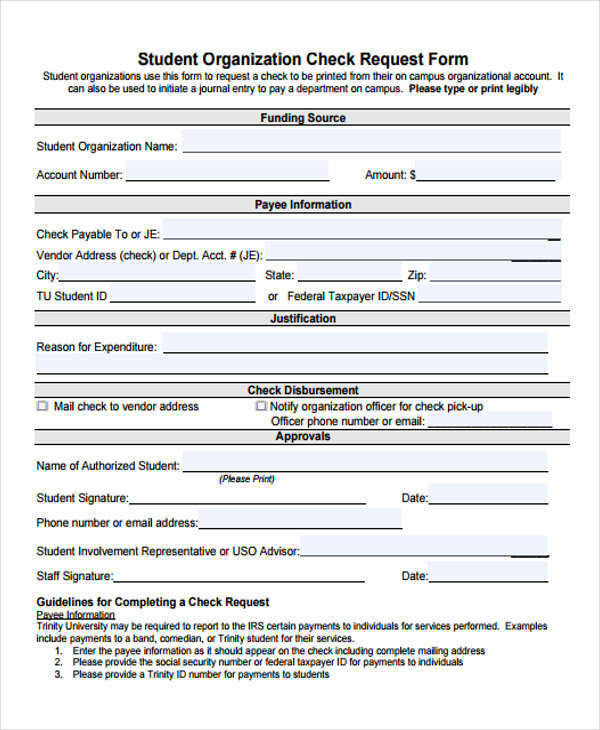 An official check request is a type of check request that is considered official due to the purpose of each official check. 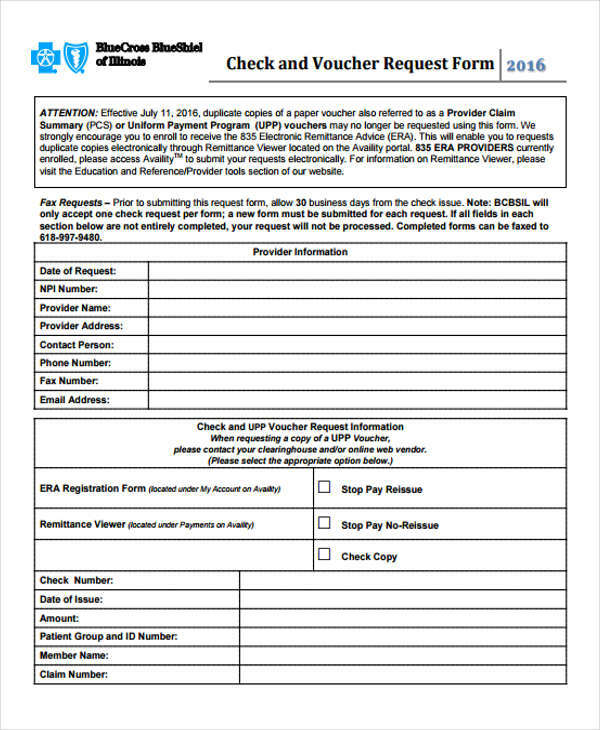 An official check can be defined as any type of official document used in a transaction. 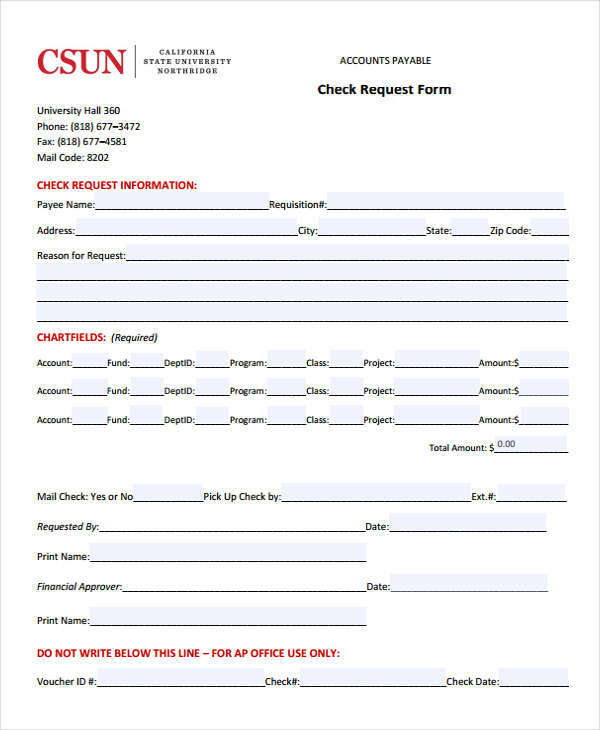 The most common of which would be the cashier’s check, bank checks and other similar checks. 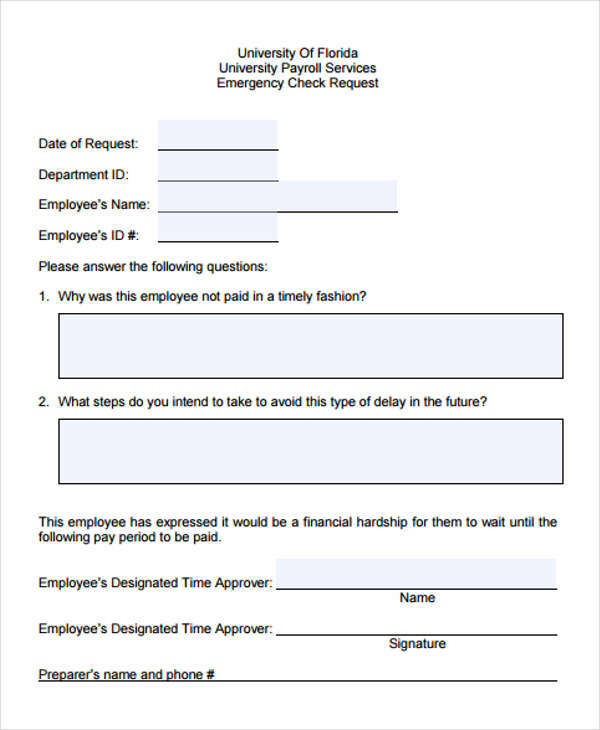 An official check request could also be used as a means of requesting your salary or payment or compensation for a certain action, which would normally be done with the usage of payment request forms. 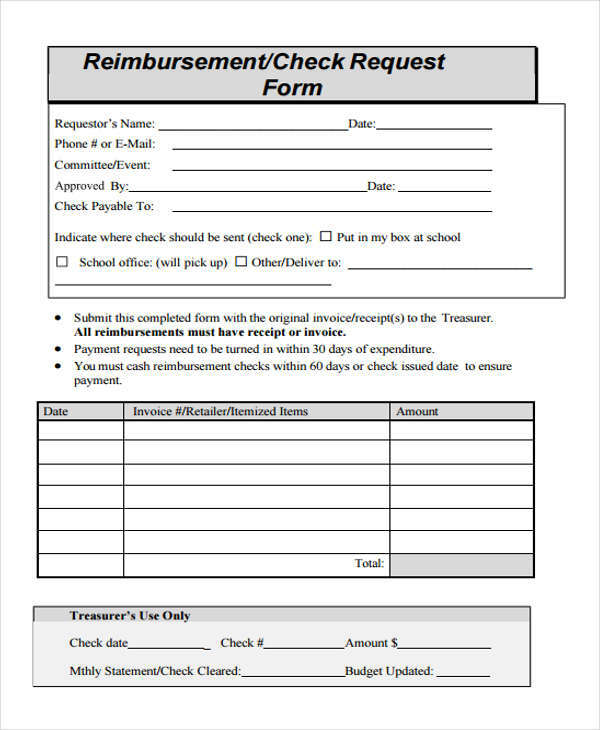 A refund check request could be defined as a type of check request form that is used as a means of requesting compensation or repayment for a certain transaction or event that has happened. This will allow you to request a refund, even for the refund of a defective product. 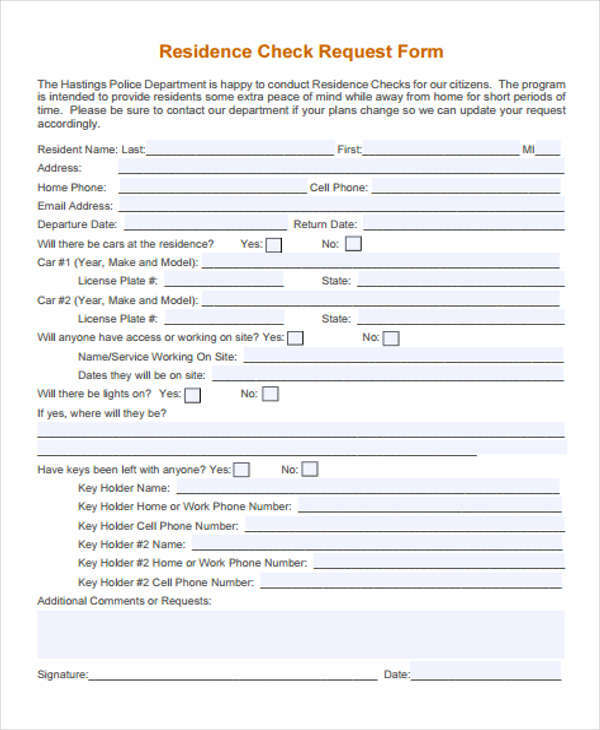 This is typically done in response to a person’s need to validate themselves by requesting the repair or renewal of an object of theirs that was damaged or defective in some way. 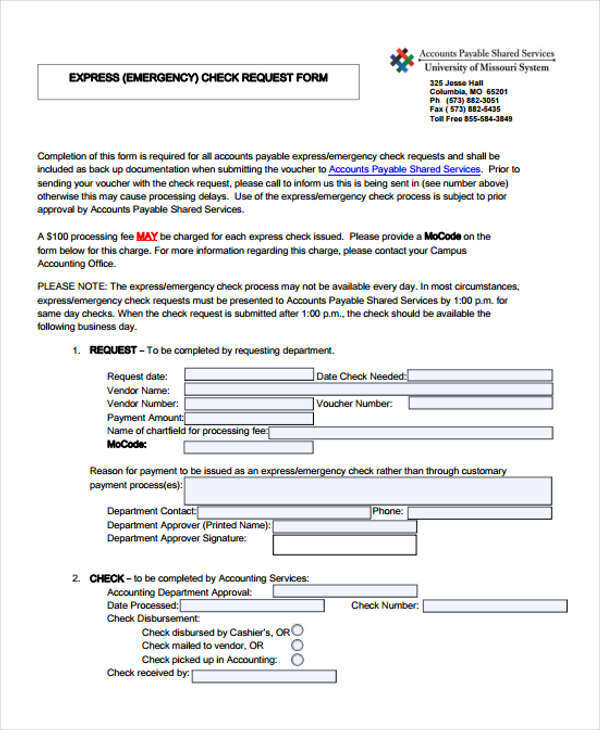 What is a Petty Cash Fund Check Request? 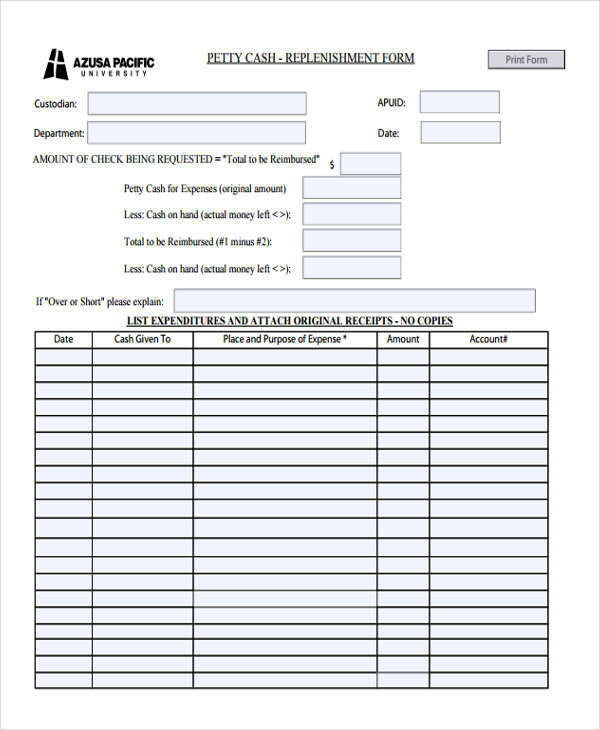 A petty cash fund check request is a type of check request form that is used for the purpose of requesting or demanding a check up of the companies petty cash funds. This is to determine if that branch of the company still has access to petty cash, and will often lead to an investigation into what the petty cash fund was used for, and why it is being used for non-work related purposes. A petty cash fund is basically a company’s supply of extra cash to use for emergency purposes. 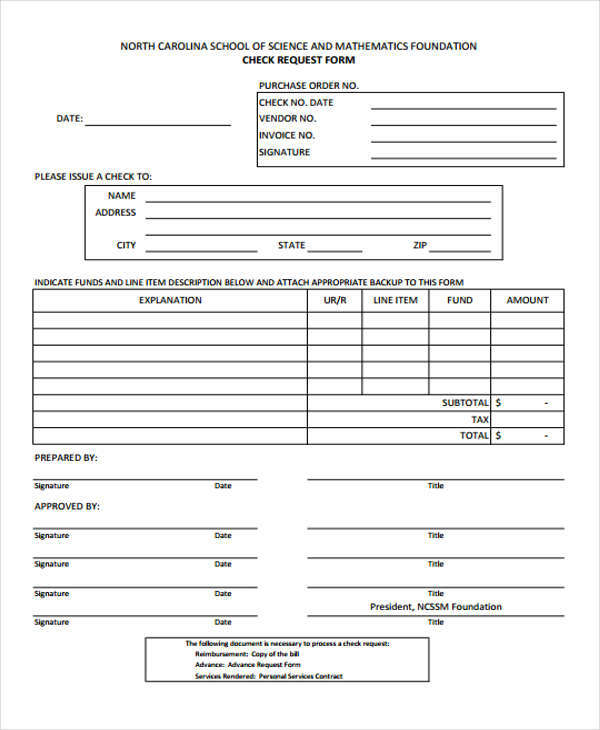 Speaking of supplies, there is a type of check request form for supplies as well, these forms being called supply request forms. 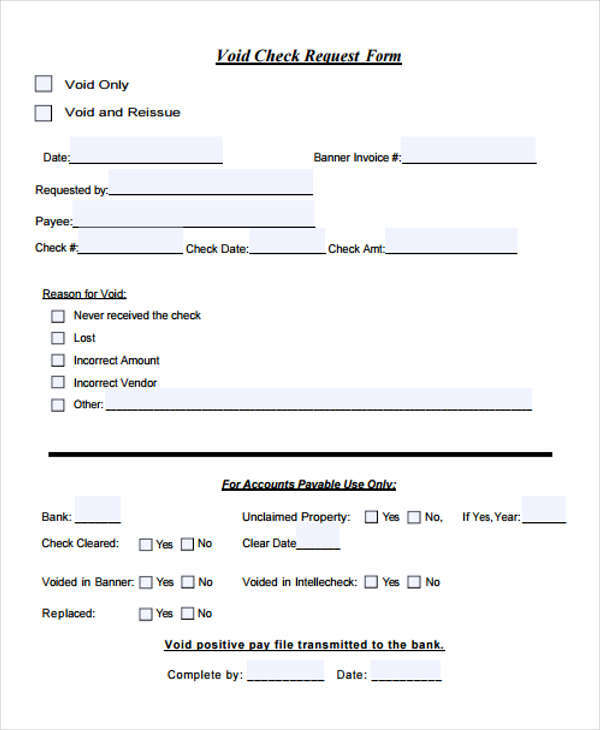 A balance transfer check request is a type of check request that is used as a means of confirming or stating the current progress of transferring the balance from one person to another person according to was stated in an earlier agreement. There can be a number of reasons why a person would request the transfer of their balance. However, the most common case of this type of transaction would be in the case of transferring a company’s balance from a previous owner to a new owner who has purchased the company. 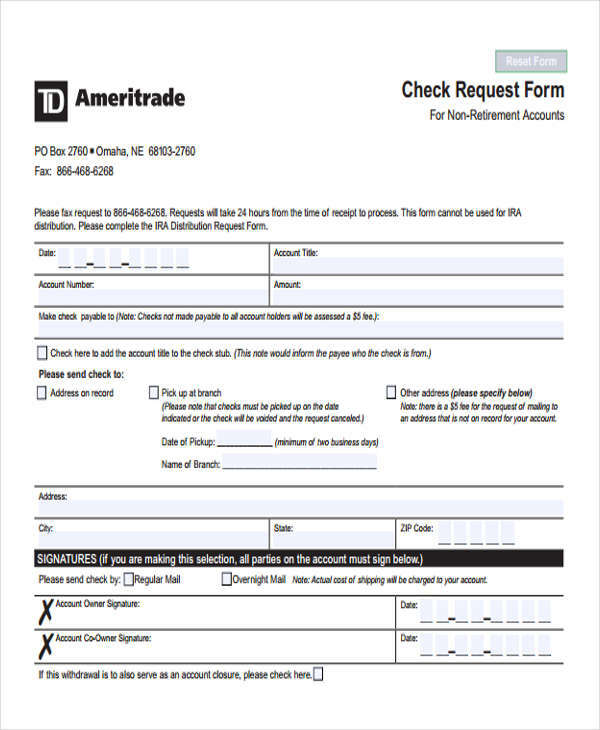 A balance transfer check request form is typically a follow up to what would be considered a purchase order request form or some similar request form.